Category 1: Tickets along the side of the pitch. Low / middle long side sections. Yellow sections. 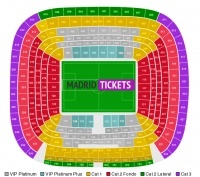 Category 2 Long side: Tickets in Lateral, Upper level alongside of the pitch. Green sections. Category 2 Short side : Tickets in Fondo, behind the goals. Red sections. Category 3: Tickets in Fondo, the upper level behind the goals. Purple sections. VIP Platinum : The best seats in the stadium. Tickets in first and second Lateral tiers. Gray sections. VIP Platinum Plus : The best seats in the stadium. 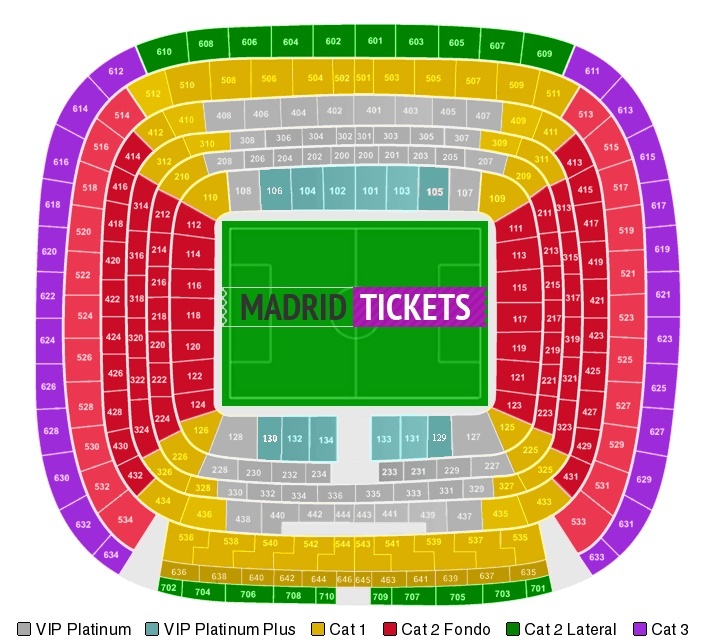 Tickets in the lower tier in central Grada Lateral sections. Blue sections.